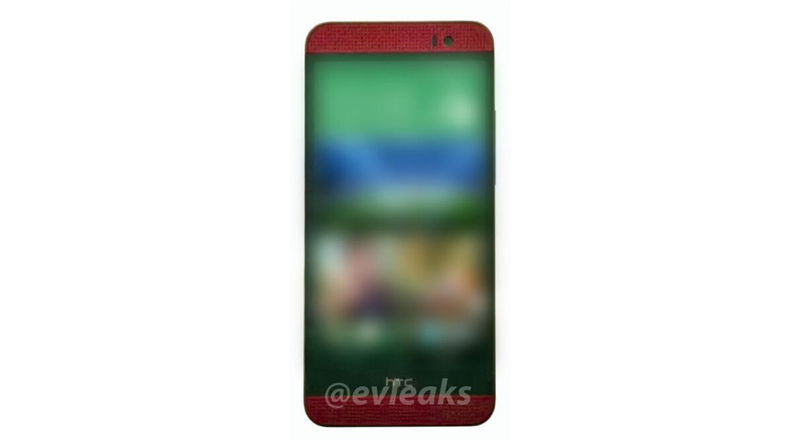 Thanks to @evleaks, we might be getting our first look at an upcoming device from HTC, titled the M8 Ace. The “Ace” name was floating around at about the same time HTC unveiled the One (M8) back in March, along with the rumors of a M8 Mini. From what we are seeing in this leaked render, it’s hard to get a grasp on exactly how large (or small) this device actually is. What we can see is that HTC’s new Sense 6 is blurred out quite a bit, and the company also appears to be experimenting with the look of the front-facing BoomSound speakers. On this device, it appears the speaker grilles take up the entire top/bottom portions of the device, which actually looks kind of good depending on who you ask. Another key thing to note is the color, which looks to be a darker shade of Red. It might also be safe to assume that this device will feature on-screen buttons like the One (M8), as we aren’t seeing any capacitive keys next to HTC’s logo on the bottom of the render. Other than that, we are pretty clueless as to what HTC is planning. At first, it looks like a bezel-less device, but don’t kid yourself. This is still HTC we are talking about. What do you think? Does it look hot so far?